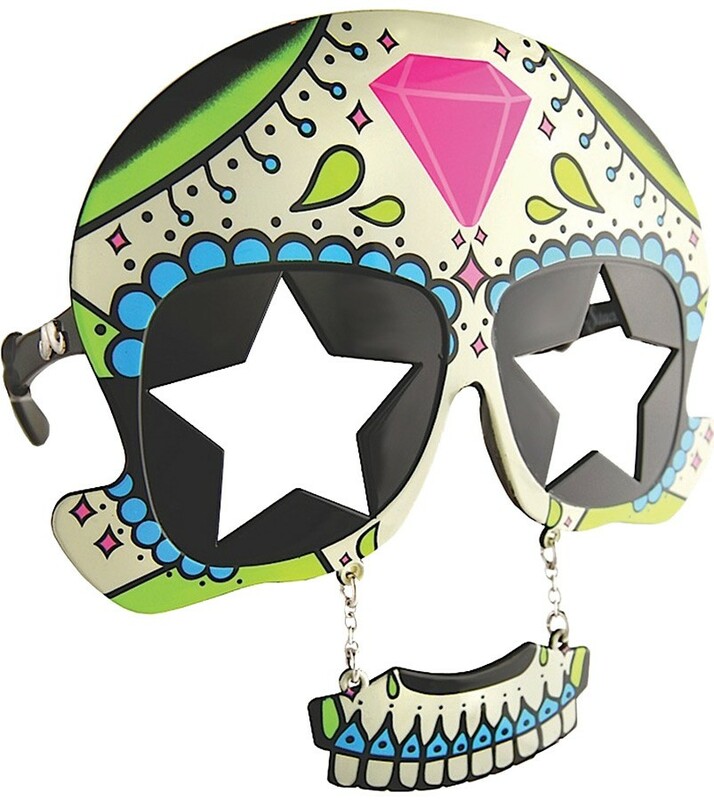 A fun look for Halloween or Day of the Dead celebrations. 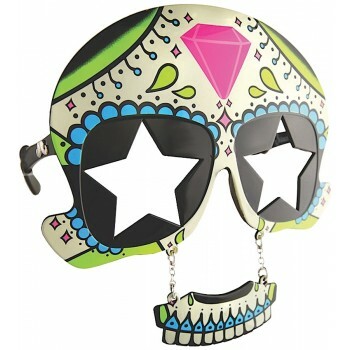 Colorful sugar skull-motif glasses with black lenses with star cutouts for easy sight lines with hanging piece that completes the skull shape. Plastic. One size fits most adults.